We would like to wish you a safe and happy holiday and a properous new year! Thank you for your support throughout 2013. 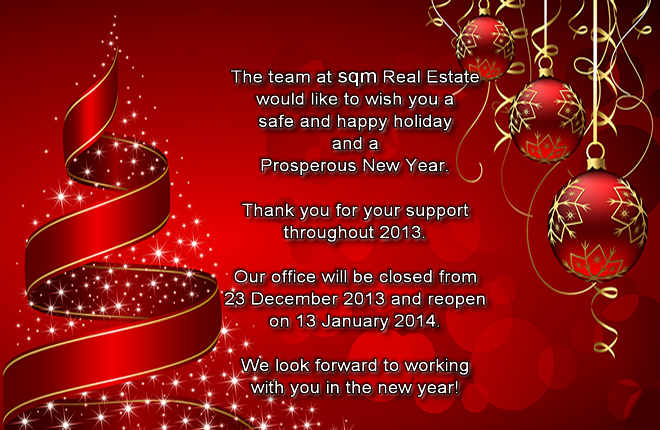 Our offices will be closed from 23 December 2013 and reopen on 13 January 2014.